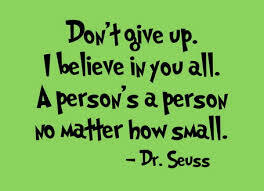 Don’t give up, borrow some brains! This quote of Wilson’s is often cited as an inspiration for why teamwork is important. Organizations of all kinds spend a lot of time and money on teamwork exercises designed to strengthen the ability of people to work together. After all, it’s common sense that two people working together can accomplish more than one person alone, right? This premise is one of the foundations of ADHD coaching – by working with a coach, a student who has ADHD learns to set achievable goals, build new skills to reach those goals and count on an outside support to be accountable for keeping on track. Your ADHD coach can help you accomplish much more than what you could by yourself. And we have proof! Our recently completed research shows students who receive coaching have substantial gains in their overall approaches to learning — in other words, they become more effective students! If you’ve been sitting on the fence about whether or not you need an Edge coach, today is the day to stop procrastinating and take the first step. There’s no obligation when you send in a request (or call 1-888-718-8886 right now!) to find out more. What is an Edge Coach? What does an Edge Coach do? Embrace the ideals and core competencies of both life coaching and ADHD coaching. What does and Edge Coach do? Meet with the client to identify needs, set goals, and offer suggestions and guidance. Set structure, provide support, and help implement strategies for skill building. Team up with other professionals (physicians, psychiatrists, counselors, and teachers) to ensure that services are coordinated at home and at school. Teach and foster appropriate social skills, self-discipline, self-reliance, and self-advocacy. Schedule regular phone or e-mail “check-ins” to monitor progress and goals. Perhaps most important of all to Edge coaches is the experience of being on the cutting edge as part of the first organization focused on coaching students with ADHD. 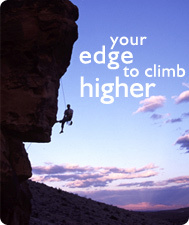 Edge coaches recognize the many opportunities that accompany this unique experience. Are you a professional coach interested in working with students with ADHD? Do you want to make a difference in a young person’s life? Are you looking to take your career to a new level and explore new professional directions? Do you want to be on the cutting edge of your profession, broadening its scope and reach? 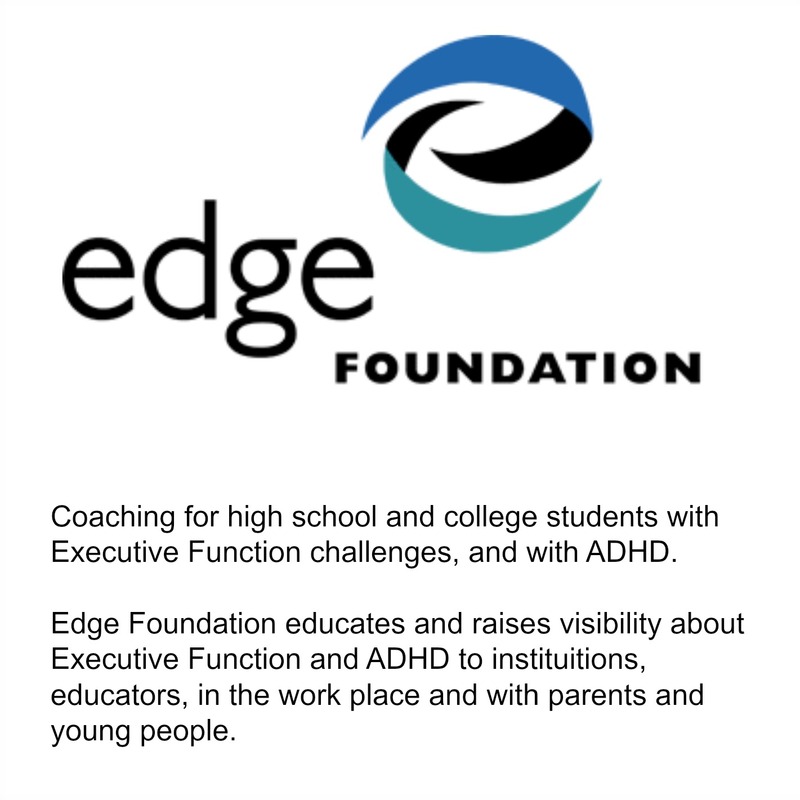 The Edge Foundation is looking for talented and experienced professional coaches wanting to pursue ADHD youth coaching and eager to help young people with ADHD. If you are interested, please complete the sign up form at the end of this page. We’ll get back to you quickly with instructions on what to do next and how to join the Edge Team. All of our coaches are well trained life coaches who receive additional specialized training and supervision in order to become Edge Coaches. We promise our clients and their parents that our coaches meet some of the most rigorous standards in the business. If they choose to work with an Edge ADHD Coach, they know they’ll be in good hands. Taken and passed at least 60 hours of ICF-approved training or received a Board Coach Credential (BCC) from the Center for Credentialing Education. Note: Those who meet the life coach training requirement but who do not yet meet the experience requirements are still eligible for our Associate Edge Coach program. Please be sure to ask for details when you contact us. a minimum of 10 clients. III) Certificate of completion of ADHD coach training via JST Coaching, LLC. Sign up to be an Edge coach now! In 2015 What will change for you? 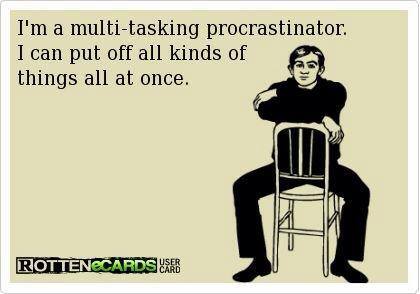 Do you have this habit? Our coaches can help with this problem.